“The farther one travels the less one knows” - George Harrison Here’s to knowing a little less with each passing day. 22 Apr. 2019ReplyRoad TripsRe: Tour of US Southern States - Greyhound Bus a Real No NO ? 21 Apr. 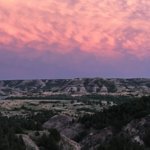 2019ReplyRoad TripsRe: The best trip out of the two?